SO CREEPY with the mad woman and sooo gripping and thrilling. I love Mr Rochester! 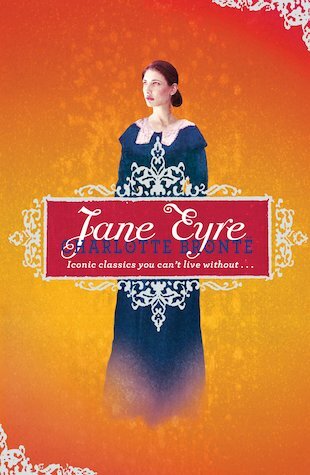 If you really want to try a classic I would start with Jane Eyre (rather than a Jane Austen which is a lot slower starting) This can be a bit slow I times but after reading the whole thing I enjoyed it so much more than I had thought. Give this book a go- you might end up really liking it. This is an incredible book in every way. It’s fascinating and impossible to put down. It’s sad at parts, but the happy ending makes everything alright. Really recommend! This is a fab classic!! Once you started it, you just can’t put it down! Jane Eyre is one of those classics you just can’t put down. It has wonderful vocabulary, excellent description and an exciting storyline. I have read it twice now and I will probably read it again! My favourite character is Mr Rochester, as you can see how his personality changes throughout the book. My favourite part is the ending: but I won’t spoil it for you!